'Remove from Friends' - The Ultimate Modern Insult? In the modern, online world, it is common to find oneself slighted in many ways. The relative ease and anonymity with which comments may be posted can often lead to insults being levied that would make eyes water if expressed in face-to-face exchanges. In my time as lead developer of vBulletin, and previously at AP3D, I grew used to throw-away comments from people I didn't really know, summarily hurling abuse at me or the products of myself and my team. When dealing with a large customer or follower base, this sort of thing is to be expected. One can not expect to please everyone all of the time. 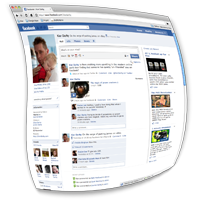 However, while it's possible to learn to live with hurtful comments from relative strangers, there is another, far more subtle form of insult that has reared its head with the emergence of social networks, and Facebook in particular. 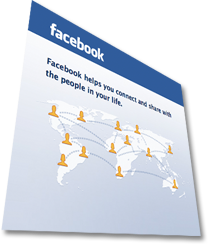 The inter-user networking basis of Facebook is one of mutual friendship. John searches for or comes across Jane and requests that they be identified as friends. If Jane accepts, the connection is made and is visible to the rest of John and Jane's friends. Things that John does appear on Jane's news feed and vice versa. It may be that at some point in time Jane finds that John is spending a lot of time interacting with annoying applications that 'spam' her news feed, and she grows tired of hearing about John's trivial exploits. Facebook offers a tool to deal with this situation, allowing Jane to 'hide' John from her news feed. The friendship is still in place, but Jane will no longer hear about John unless she goes looking for information. However, there is another option. Jane could break her friendship with John. John will not be notified that this has happened, and will only find out when he either notices that Jane's information no longer shows up in his news feed, or when he visits Jane's profile page and finds the dreaded 'Add as Friend' button sitting there. Why did Jane break the friendship? When did it happen, and what precipitated Jane's decision? Should John re-request friendship, in case Jane made a mistake? Once, I considered you a friend. I read about you and I allowed you to read about me. However, you subsequently changed into a person with whom I no longer want a friendship. Your repugnance is so great that simply omitting your activity from my news feed was not enough, and I felt compelled to remove you from my friends list. I do not intend to inform you of my action or to explain my reasons for taking it. I will not even grace you with a goodbye. And that, my friends, is a cutting insult. Use 'Remove from Friends' judiciously. I just finished watching the final episode of the BBC's Ashes to Ashes. How on earth did the writers manage to take the original Life on Mars concept and turn it into such self-absorbed tripe as was seen tonight? Throughout this third and final season of Ashes, there seems to have been a desperate, ill-conceived attempt to shoehorn a back-story onto the secondary characters (Chris, Ray, Shaz) while at the same time trying to get the audience to believe that Gene Hunt - who has consistently been a hero figure of sorts in the previous four series - might in fact be a villain. First, the 'character development' of the secondary cast. This was a ridiculous idea. It goes against the very reason for the success of the series' format. These characters were conceived as two-dimensional caricatures - eighties stereotypes that everyone who remembers the eighties would recognise instantly. The characters were (surely?) never intended to bring their own history and emotional background, at least not in any way that the audience was supposed to care about. It seems to me that the attempt to botch together a bit of depth for Chris, Ray and Shaz, and Keats' interminably tedious 'report' storyline have come together to provide a final series whose concept was almost as far off the mark in terms of reading what the viewing public want, as Labour's ridiculous election posters, which failed chronically to grasp the fact that the public love Gene Hunt. Unfortunately, I don't think any political party would be able to provide a way to avoid, or even deliver a comfortable or happy period through the financial armageddon that is beginning to take hold in southern Europe, and will inevitably ensue here in the UK when the monetary stimulus must necessarily end and the job of paying back our unprecedented debt begins. Newsnight's Paul Mason wrote an extremely sobering blog yesterday about the difficulties that lie in wait for us. What the country needs for the coming years is a Parliament of consensus and right-mindedness, where party political ties come second to building legislation that helps to prevent the disintegration of society when extreme austerity measures are in place. My vote is cast, now I can only wait for the results and see what tomorrow brings.